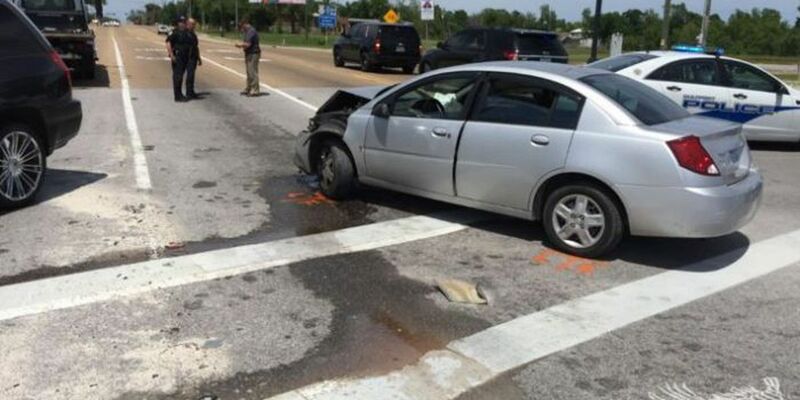 BILOXI, MS (WLOX) - A shoplifting suspect reportedly led Biloxi police on a high-speed chase that ended with a crash in Gulfport on Monday afternoon. Investigator Grandver Everett said officers were called to a shoplifting in progress at the Belk department store in Edgewater Mall around 1 p.m. Officers said the suspect was seen driving away from the mall in a silver Saturn car and refused to stop for police. Everett said Troy Bernard Barney, 49, led officers on a high-speed chase down CT Switzer Dr., south onto Debuys Rd. and then west onto Hwy. 90. Everett said the chase came to an end when Barney tried to turn north onto Cowan Rd., lost control of the car and hit another vehicle. Barney and the passenger in his car were taken to the hospital to be treated for minor injuries. Everett said the passenger was not involved in the shoplifting. Barney is charged with shoplifting, driving under a suspended license, no insurance, DUI and eluding. His bond was set at $100,000.